Outside Access Devices - DGS Group Plc. 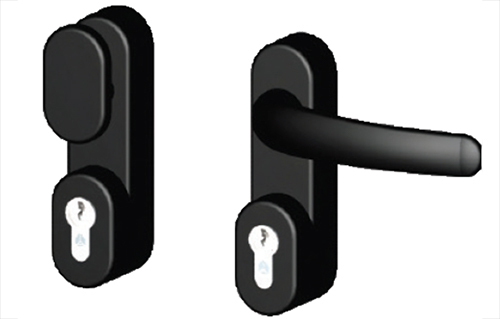 Optional outside access device (OAD) with level handle or knob for use with modular or touch bar ranges. Standard spindle suitable for doors up to 100mm thick. OAD comes complete with standard 40mm half euro cylinder. 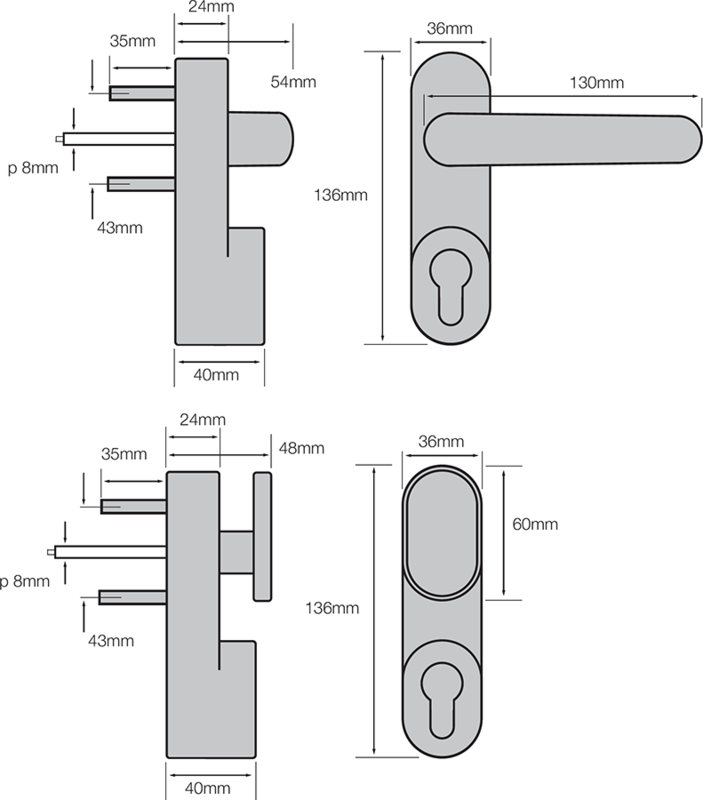 In addition to the standard type of OAD a key retaining version is available (key can only be withdrawn in the locked position). Keyed alike and high security options available to order. Silver EPS (20), Black EPB (01), White EPW (25). Satin Stainless Steel Plated SSSP (44).